address global challenges and opportunities. The EU is Canada's second largest trading partner, with bilateral trade in goods and services amounting to more than €63 billion a year. The economic relationship covers a wide range of sectors, from agriculture to chemicals and machinery. The EU is also Canada’s second-largest investment partner, with total bilateral investment stocks at nearly €440 billion. 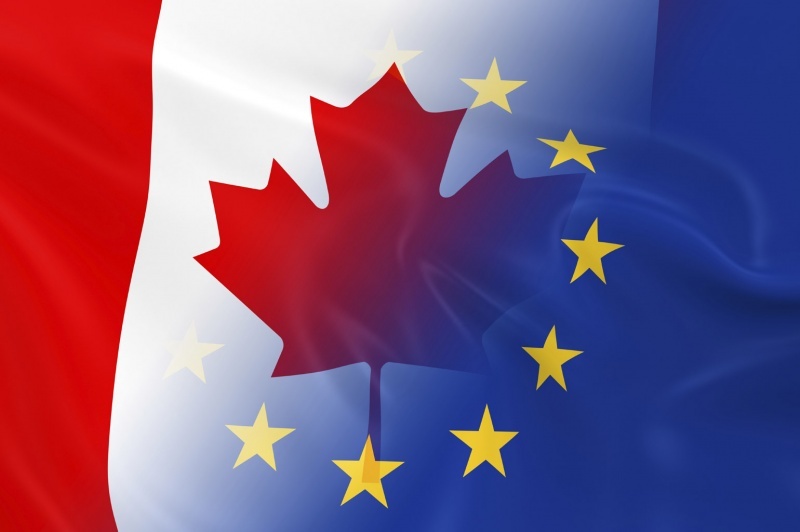 Negotiations for the Comprehensive Economic and Trade Agreement (CETA) began in May 2009 and their completion was announced during the EU-Canada Summit in September 2014. CETA will be the EU's first free trade agreement with a G7 country and one of the most progressive agreements it has ever negotiated. CETA will boost trade, strengthen economic relations and create jobs. CETA’s progressive nature will set a new global standard for sustainability chapters in trade agreements. It will make business with Canada easier, removing customs duties, substantially improving access to public contracts, opening up new sectors of the Canadian services market, offering predictable conditions for investors, and protecting Geographical Indications. Companies in several sectors will also benefit from the gains derived from the elimination of double testing, especially SMEs. With CETA, the EU and Canada are committed to ensure that economic growth, social development and environmental protection are mutually supportive. Copy of the joint statement EU-Canada is available HERE in French.